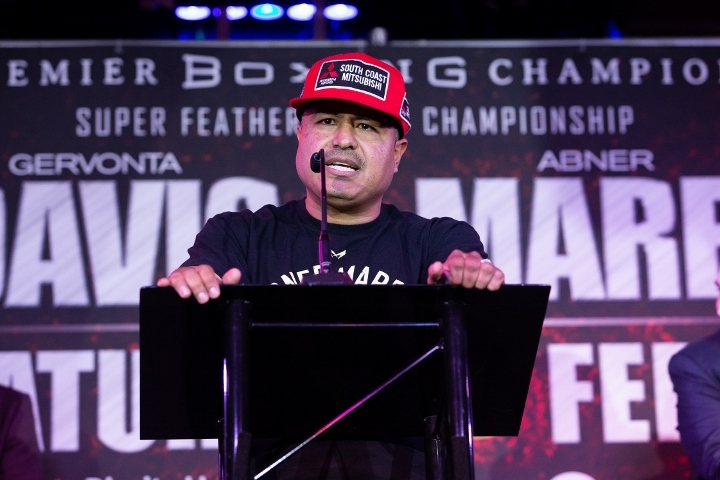 Robert Garcia, head trainer and older brother of four division champion Mikey Garcia, is not overly concerned with the fighting style of IBF welterweight champion Errol Spence. Mikey, who currently holds the WBC lightweight title, will move up by two full weight divisions to challenge Spence on Saturday night at AT&T Stadium in Arlington, Texas. Mikey is a very big underdog in the contest, with Spence holding a big advantage in size and strength. But Robert Garcia cautions that his younger brother is also very strong, and Spence will find out exactly how strong when the two boxers collide in the ring. “Not only have all of our sparring partners told us this, but his opponents always say the same thing. Once they’re in the ring, they realize how hard Mikey hits and how strong he is. Spence doesn’t know that but he’ll find out Saturday,” Robert Garcia said. The veteran trainer is not concerned with Spence’s style of fighting. He believes the United States Olympian is very basic, and doesn’t do anything special in the ring. They have prepared for Spence by using very big sparring partners, including fighters who compete in the middleweight division. Spence has long been tabbed as a middleweight who squeezes down to the welterweight limit. “A lot of fighters have problems with southpaws like Spence, but Mikey has a lot of experience facing lefties and I’m confident that won’t be a factor,” Robert Garcia said. “Spence’s style is pretty basic, so it’s not too hard to find sparring partners to emulate him. Spence does everything right, just like Mikey. From a preparation standpoint, his style isn’t a big challenge.